The hype around Machine Learning and Artificial Intelligence (AI) is currently at fever pitch. In the parlance of Gartner’s Technology Hype Curve, we are probably at the Peak of Inflated Expectations, which makes this a good time to take stock, put the extravagant claims to one side, and try and form a more balanced perspective. Due to the hype, the AI and machine learning labels are being applied indiscriminately to a plethora of technologies where so far their use is very limited. Conversely, machine learning plays a key role in some day to day activities, such as when we shop on Amazon, without us explicitly being aware of it. The pace of development in machine learning is such that many people are now questioning how far, how quickly and in what ways will machine learning impinge on all our professional lives. The biggest fear is that AI will replace humans in areas that were previously seen as impossible to automate, such as seismic interpretation. One way of dealing with this fear is denial, with AI sceptics pointing to the complexity of seismic interpretation and the limited success associated with past attempts to automate the process. A more considered approach is to look at AI as another enabling technology that we can use to augment our human abilities. 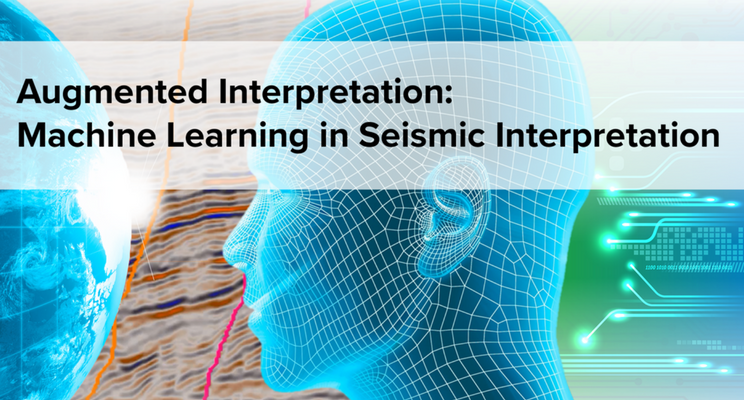 In other domains, there are examples of the combination of AI and human expertise performing better than either used individually; can we achieve the same in seismic interpretation? This idea of combining human skills and AI to produce an Augmented Interpretation system is now being investigated at GeoTeric. The project can be viewed as using machine learning to provide every interpreter with their own skilled technician that can do all the routine tasks of interpretation, such as picking surfaces. The machine learning technician being a tireless, efficient worker that can feed the interpreter with interpretation scenarios for further assessment. Over time, the machine learning technician is likely to become better at the routine aspects of the workflow than the human interpreter as it can examine the data for patterns that might be difficult or impossible to detect by visual inspection. Rather than replacing the interpreter, this will simply shift the emphasis for the interpreter from picking the surfaces to analysing the results. Creating an Augmented Interpretation system in this way is entirely feasible as long as the machine learning / AI component is embedded or connected with a system that enables the human interpreter to review and assimilate information very efficiently. This is the rationale behind the GeoTeric Cognitive Interpretation approach, which enables interpreters to more effectively utilize their knowledge and experience. Whether machine learning is benign or malignant will be determined by how we adopt and adapt to what it has to offer. We are most likely to benefit when we proactively and intelligently embrace what a new technology has to offer. 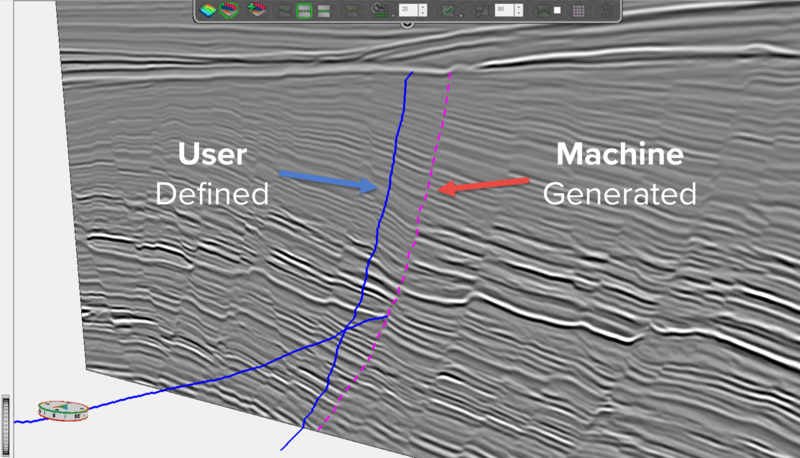 This will be true with machine learning and its role in seismic interpretation.